A View from the Beach: A Profile in Courage Award for the Queen of Queens? A Profile in Courage Award for the Queen of Queens? I’m nominating Leah Remini for this year’s John F. Kennedy Profile in Courage Award. Let me tell you why. For as long as I can remember I have been obsessed with the “religion” of Scientology. As a child I was a big fan of L. Ron Hubbard’s science fiction writing. My mom used to get me a subscription to Isaac Asimov’s monthly sci-fi publication and often there were short stories from Hubbard. One day I mistakenly checked out his Scientology handbook “Dianetics” and while I was grossly disappointed to discover it was not the sci-fi romp I’d hoped for, it did launch my lifelong obsession with the weirdness that is Scientology. 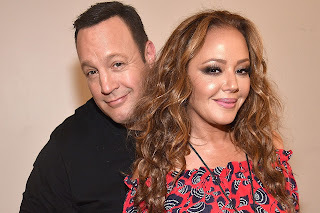 By the time Leah Remini’s very public denouncement of her former religion came about I had probably seen or read nearly every available documentary or publication challenging the Church of Scientology (COS). This is where I need to stop for a moment and offer Ms. Remini a sincere apology. I don’t know if she reads much of her press, but even still I owe her this much. When Remini first started making the rounds on the talk show circuit and wrote a book about her split from COS, I thought perhaps it was a publicity play; an actress was looking for some attention and trading on her involvement in a sketchy cult to get it. Having now seen every episode, outtake and trailer from her award-winning show Scientology and the Aftermath I now have no doubt she is 100% serious and sincere in her desire to see the vicious COS dismantled for good. And vicious is the right word to describe COS. You don’t have to look very far to learn about the tactics they’ve used to control their members and destroy their detractors. Remini’s own show spends a lot of time highlighting and talking to people who have been harassed, followed, threatened and litigated into submission by COS - including her faithful friend and co-SP (suppressed person) Mike Rinder, a former big-wig in Scientology. Read the rest. I'm pretty sure worse choices have been made. I read one of L. Ron Hubbard's Sci-Fi books once, Battlefield Earth, I think, sort of by accident, when Georgia picked one up at the library thinking I'd like it (generally speaking, we don't pick books for each other). I was't impressed, as it seemed outlandish even by the standards of early Sci-Fi and not in a good way. I've heard an apocryphal story that Scientology originated as the result of a bet because of an off handed comment between Robert Heinlein, Isaac Asimov, and L. Ron Hubbard that they could found a religion. I could imagine Heinlein saying that, but not Asimov. I've never known a Scientologist personally, but the religion seems like it might just be a scam. This is one beautiful woman.